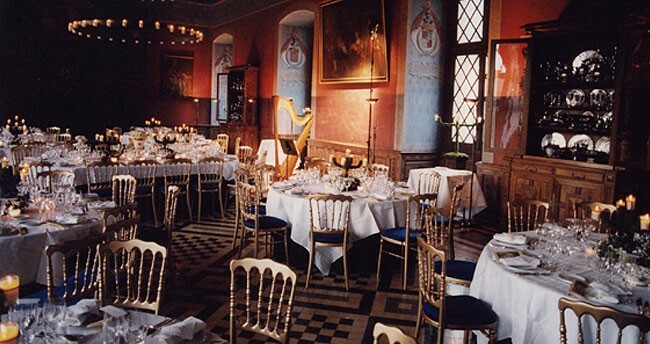 Why not consider celebrating the most important day of your life, at the Chateau of Ancy-le-Franc? 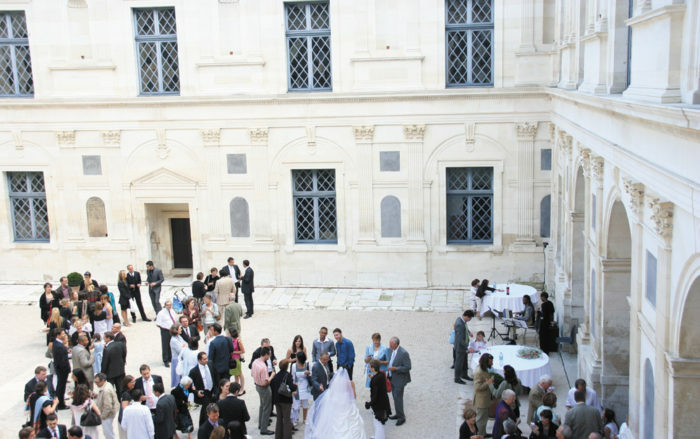 The Salle des Gardes is ideal for hosting a wedding. Please contact us to make us part of your plans. Elegant and spacious, tiled with a marvelous mosaic, endowed with an enormous chandelier. Large bay windows with a view of the courtyard and the garden. This hall of 200 m2 has seating capacity for 150 people. 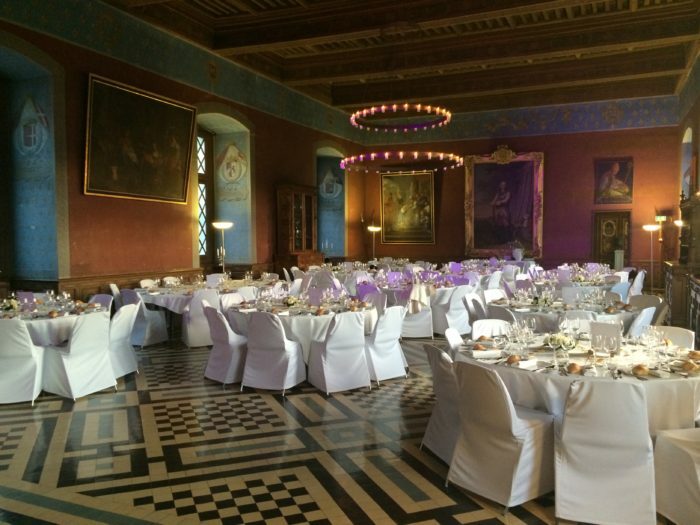 If your party has 175 guests, we can offer the Dining Hall, which is connected to the Hall of the Guards, in addition. It is ideal for children. Rates on a per day basis. Electricity, outdoor lighting, chandelier with candles, heating included. Possibility to take wedding photos on the south side of the estate, by the pond and the little ‘Folie’ dating back to the 18th century or, if you like, in one of the halls on the aristocratic floor. We do not provide staff or catering, but if required we can give you a list with recommended businesses to help you plan your event.